Canada is now the first industrialized nation in the world to legalize marijuana for recreational use from border to border. That puts it at the epicenter of change and growth. It also means investors have a chance to double or triple their money, perhaps even more. If you watched marijuana stocks today, you may be wondering what the heck I’m talking about. After all, they were mostly down on this historic day, some quite a bit. Actually, that’s not a surprise. Oct. 17 has been marked on a lot of calendars for a long time, especially in Canada. It was almost like Black Friday in the U.S. There were long lines at cannabis stores to be among the first to legally purchase marijuana. I saw one account that said people started lining up at 3:30 in the morning for a store’s 10:00 a.m. opening. That does not mean the market is down on marijuana stocks. It will take some time for more traditional investors to come around, but I expect the selling will be short-lived. The big-picture outlook for the marijuana sector could not be more bullish, so there are some great buying opportunities out there. We know the marijuana market in Canada will be big, but predictions as to just how big vary greatly. Some researchers believe the black market will continue to thrive while others see a fast move to legal purchases. I think there will always be a black market for marijuana, but when the quality and price in a legal store are more attractive, it will win all day, every day. Let’s focus on what we know. In 2017, it was estimated that the country generated $5.7 billion in marijuana sales. Almost all of it – over 90% – was on the black market. 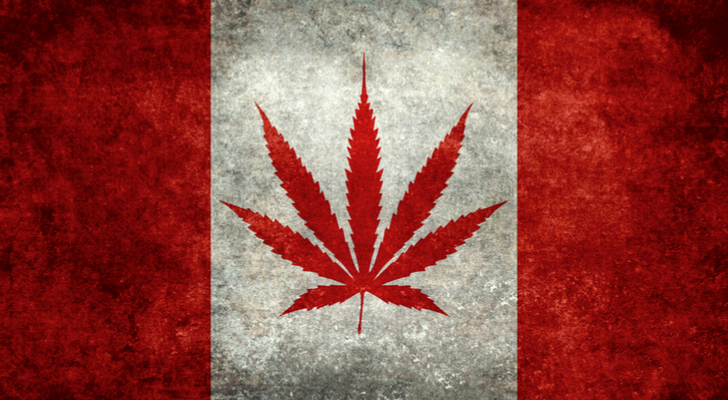 By 2019, when recreational use will have been legal for a full year, international accounting firm Deloitte predicts 23% growth as Canadians will spend $7 billion on marijuana in 2019. That’s the legal market alone. The firm sees more than 20% additional growth to $8.7 billion in a few years. We also know that marijuana in Canada is definitely not a fad. Consumption there increased by 730 tons, or 1,678%, between 1961 and 2017. And remember, that was when marijuana was illegal! That same scenario is set to play out in the United States. Marijuana remains illegal on the federal level, but 31 states have already legalized it for medical use and nine have legalized it for recreational use. The free market has responded. In 2015, the legal marijuana market in the U.S. was $5.4 billion. In 2017, it exploded 57.4% to reach $8.5 billion. That was more money than was spent on ice cream! This year, sales should increase another 29.4% to $11 billion. Canada and the U.S. get a lot of the attention, but this is an international story. There are already over 25 countries where medical marijuana is legal. Most of the largest companies in the industry are already extending their reach around the globe in anticipation of what is to come. A European investment bank predicts that the legal global marijuana market could grow by more than 1,000% over the next decade. I expect this market will continue to grow significantly in the next 10 years. Any time the government opens up a huge new market like legal marijuana, investors can win very big. I’ve been recommending stocks for the last several months in my Investment Opportunities service to get us in position for profits that could easily multiply many times over in the coming years. The first company I recommended was Canopy Growth (NYSE:CGC), the largest marijuana company in the world with a market capitalization of $11.6 billion. It has been in the news this year with alcoholic beverage giant Constellation Brands (NYSE:STZ) making two big investments in the company and bringing its stake up to 38%. We’re up over 65% in less than five months. We’re also up over 60% in less than three months in the leading e-commerce cannabis company – the Amazon of Marijuana if you will. And we have 20% gains in just 10 weeks in a “picks and shovels” play – a supplier to the industry. And just today, I sent my readers a Flash Alert recommending the company I view as the best positioned to profit from pot now being legal in Canada. It is one of the largest marijuana companies in that country and has supply agreements in every province as well as the Yukon Territory. That means it has the opportunity to sell to 98.5% of the Canadian population. No other company can match that. Canada’s legalization opens the gates to massive growth, and much of the rest of the world should not be far behind. The opportunity in legal weed is much like the opportunity internet stocks offered in 1994 … or that bitcoin offered in 2015. It’s set to grow many multiples of its current size – larger than the coffee business even. This incredible growth will send the value of the best legal marijuana businesses up 10X, 20X, even 50X over the coming years. If you’re not starting to get in on this opportunity, now is the time. Article printed from InvestorPlace Media, https://investorplace.com/2018/10/let-the-marijuana-boom-begin/.